Los Angeles is a cauldron where cars, culture, style, and automotive engineering know-how coexist and interact in totally unique ways. 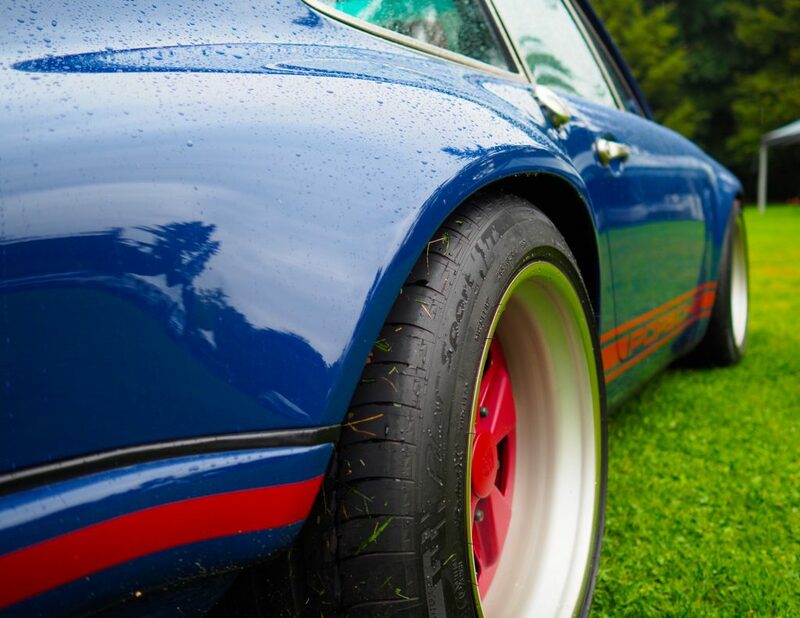 Year-round good weather, the influence (and money) of the entertainment business, great roads, and a diverse population have given birth to an incredibly vibrant car culture. From lowriders cruising working-class neighbourhoods, to wannabe racers plying their trade at Willow Springs, massive cars-and-coffee gatherings, to the presence of manufacturers’ advanced design studios, if it’s happening in cars, it probably happens in L.A. first. If you’re into air-cooled Porsches, this is doubly true. Southern Californians have the advantage of being able to drive their cars all year, and the sheer size of the market has bred a vibrant subculture of 911 hot-rodders who’ve been modifying, driving, and racing air-cooled cars for decades. Rob Dickinson was one of those guys. 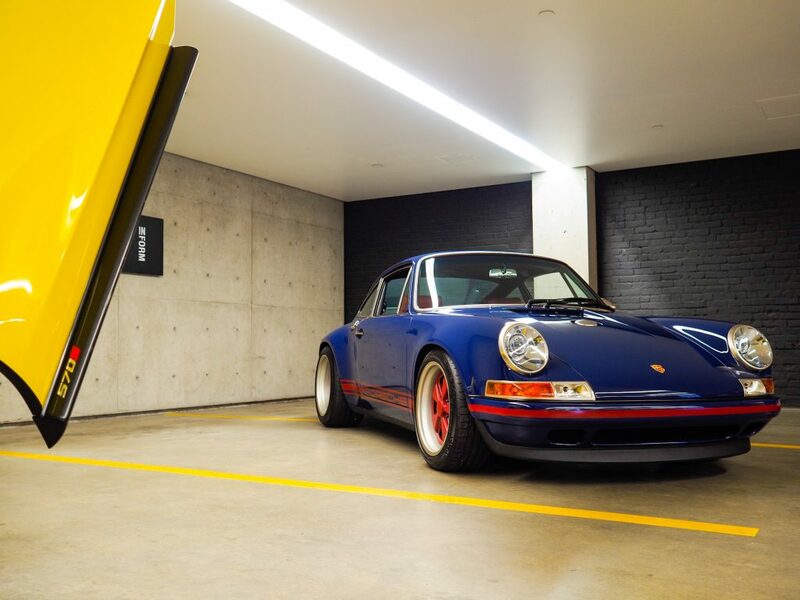 The founder and creative director of Singer Vehicle Design moved to L.A. when he was a, uh, singer, and turned his 1969 911 into a lowered, fat-stanced, canyon-carving weapon – a car sufficiently distinctive that people started asking him if he could build them something similar. Only a place like L.A. could have supported Rob doing things the way he eventually did with Singer.  The presence of the aerospace industry – and the attendant engineering talent and prototyping ability – has bred a constellation of specialists whose resources Singer has leaned on to aid in its restoration process. The custom fabrication and manufacturing technology in each restoration is mind-boggling. Trim pieces that look like nickel-plated metal are actually 3-D printed then hand-polished to look like they were made 50 years ago. The most beautiful paint you’ve ever seen conceals carbon-fibre bodywork that drops the donor car’s weight by several hundred pounds. The upright headlights feature the latest lighting technology from Hella. And there’s even a touchscreen navigation and entertainment system that flips out from underneath the woven-leather dashboard. The incredible expense, effort, and technology hiding under the surface are what makes a 911 restored by Singer so special. Most cars at its price level are exercises in extroversion, with wings and vents, crazy styling, and doors that announce your arrival. Drive a Singer-restored 911, like I did around Vancouver for a couple of days during this fall’s Luxury Supercar Weekend, and – save for the occasional dropped jaw and stopped-tracks of those really in the know – mostly what people notice is a really nice old Porsche, the carbon bodywork resembling a greatest-hits collection of 911 styling cues, with flared rear fenders, a long hood, and that nickel detailing. 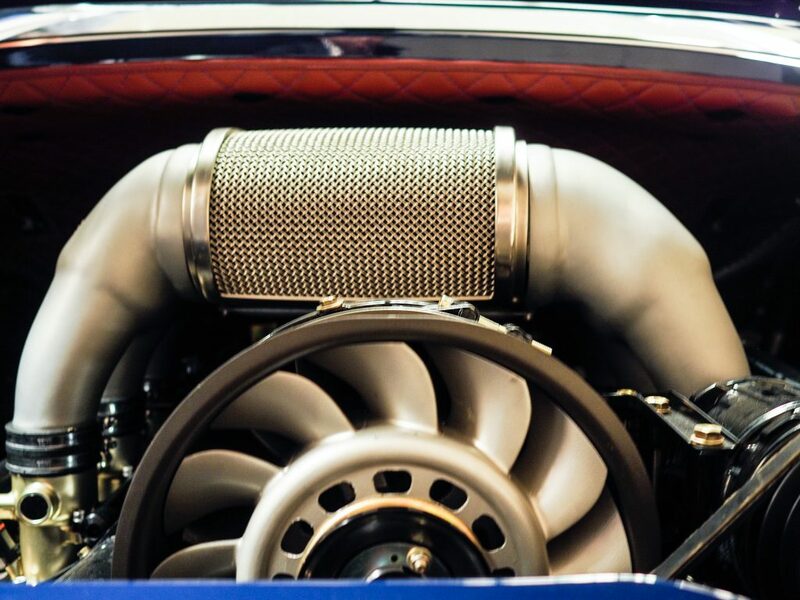 The carbon diet combines with engine work that takes a stock 964’s 250 hp up to nearly 400, should you choose the 4.0-litre engine option fitted to the Pfaff Commission 911 you see here. A choice now made by most of Singer’s customers, the 4.0 begins with the donor’s original engine – thereby keeping the car “matching numbers” – but every component is rebuilt, modified, and optimized by Ed Pink Racing Engines. When your flat-six returns to Singer to be re-married with its body, it sports individual throttle bodies, bored-out cylinders, custom internals, and a beautiful plenum adapted from a 911 GT3. The engine is then coupled to a six-speed manual transmission, which puts power to the road through a limited-slip differential and 17-inch Michelin Pilot Sport tires. While it’s packed with racing technology, it’s the upgraded engine’s sheer driveability that’s most impressive. There’s power everywhere, from the rich, ticking, characterful idle, a growling first couple thousand revs, a massively flexible and tuneful midrange, and a thrash-metal symphony to 7,500 rpm. Response is the most aggressive and most precise I’ve ever experienced in a road car; there’s real edge to it, whether it’s just a twitch of your toe, or a full boot coming out of a corner. Most surprising, and impressive, is how sharp the engine is off-throttle as well, the revs dying instantly and precisely the moment you lift, with a delicious buzz-saw zing from the custom exhaust. The Ed Pink-optimized engine and the optimized 993 gearbox (you can also choose a five-speed 964 gearbox or an all-wheel drive version with a 993 gearbox) totally dominate the driving experience. 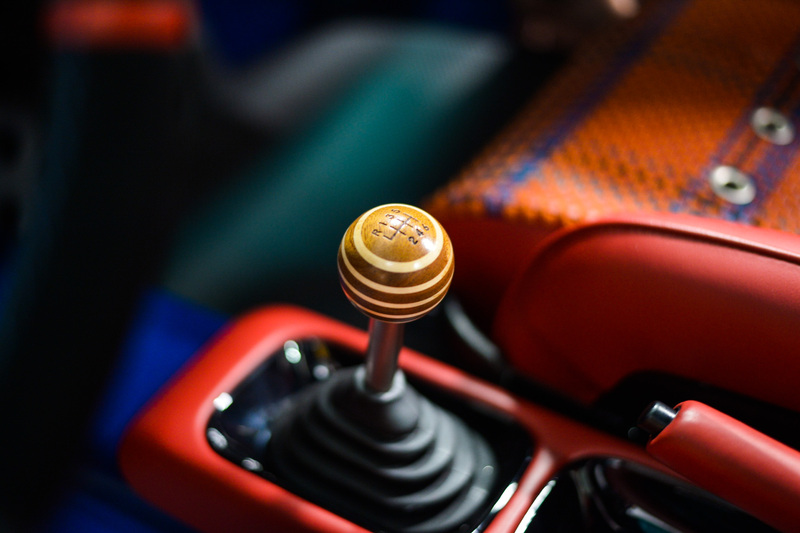 The new shift action is incredibly slick but also thoroughly mechanical; the weighting of the knob, the height of the lever, the length of the throws, are all just right. You find yourself shifting gears for the hell of it, blipping the throttle unnecessarily just to revel in the precision of the response. I won’t pretend to have explored the outer limits of the handling envelope of the Pfaff Commission; it’s too valuable, the roads were unfamiliar, and the car isn’t mine. But I did throw it around a few corners, roared on and off a few ramps, and generally drove it as aggressively as I drive my own 911. And what that revealed was a 911 that (if this makes any sense) feels more like a 911 than any 911 I’ve ever driven. The slightly offset driving position, the delicious talkativeness of the steering, the way that, even at low speeds, you can really control the way it corners with the throttle, is like every 911 I’ve ever driven. It’s just faster and more solid and more interactive and, like, a million times better. Like the new tachometer that faces you from the middle of the instrument panel, a Singer restoration dials everything up to 11. What’s best is all this sensation is directed inward, at invigorating the driving experience – not about advertising the car and its driver to the outside world. You can certainly spend less money and go much faster: a modern supercar with turbos and a dual-clutch gearbox and a massive footprint will certainly make more impressive numbers (though 0-100 km/h in 3.2 seconds or so is nothing to sneeze at). And will certainly attract more attention. But a Singer-restored 911 isn’t about any of that; it’s about the driving, it’s about you, it’s about parking the car yourself not showing off at the valet, and it’s about the car being a little bit of a secret. 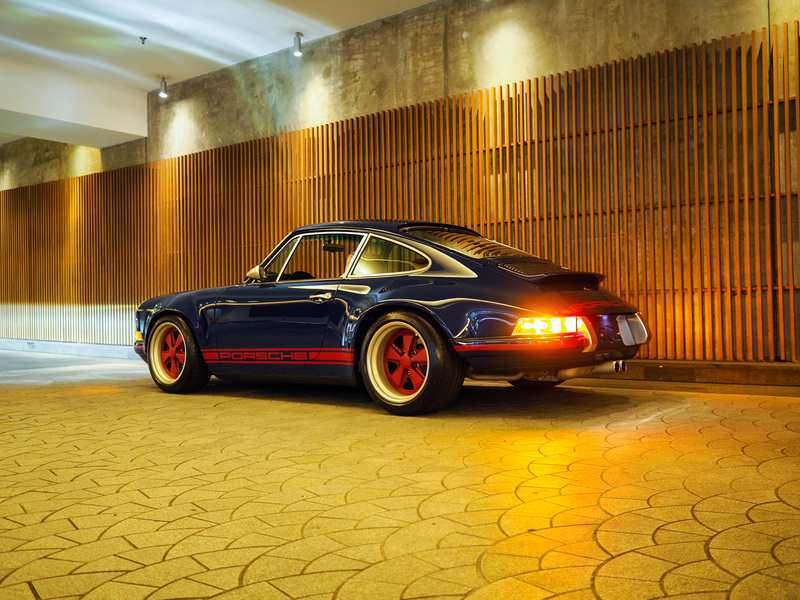 Indeed, it is hard to explain to people, just looking at one, why Singer Vehicle Design’s restorations are so expensive. 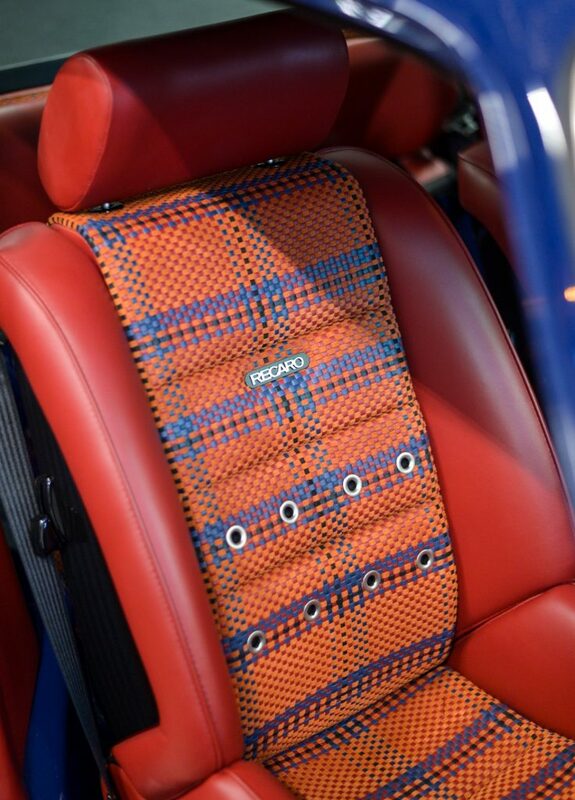 The beautiful paintwork, woven leather interiors, and perfect stance are worth a lot of course, but on top of your donor 964, you’re still looking at an average price of around $600,000 USD. A visit to the company’s facilities in Sun Valley, on the outskirts of Los Angeles and a stone’s throw from some of the best driving roads on the continent, fixes all that. Visit Singer, witness the 4,000 hours of manual labour that go into each car, see the spared-no-expense nature of every component, and a restoration begins to seem like a bargain. More importantly, spend some time with the people that work there – from Dickinson right on down to the talented crews working in final assembly – and you realize that everybody at Singer is united by a passion for celebrating and preserving the 911. The company digs are surprisingly modest; they feel like the greatest garage you’ve ever visited, rather than the glass-and-steel architectural showcase modern manufacturers prefer. Located in what could charitably be described as “not the best part of town,” Singer’s digs are as much a part of the story of the car as the exquisite hardware and beautiful finishing. And it’s ultimately that combination of mechanical and aesthetic perfection, along with humble origins, that makes Singer’s work deeply, unbelievably cool. 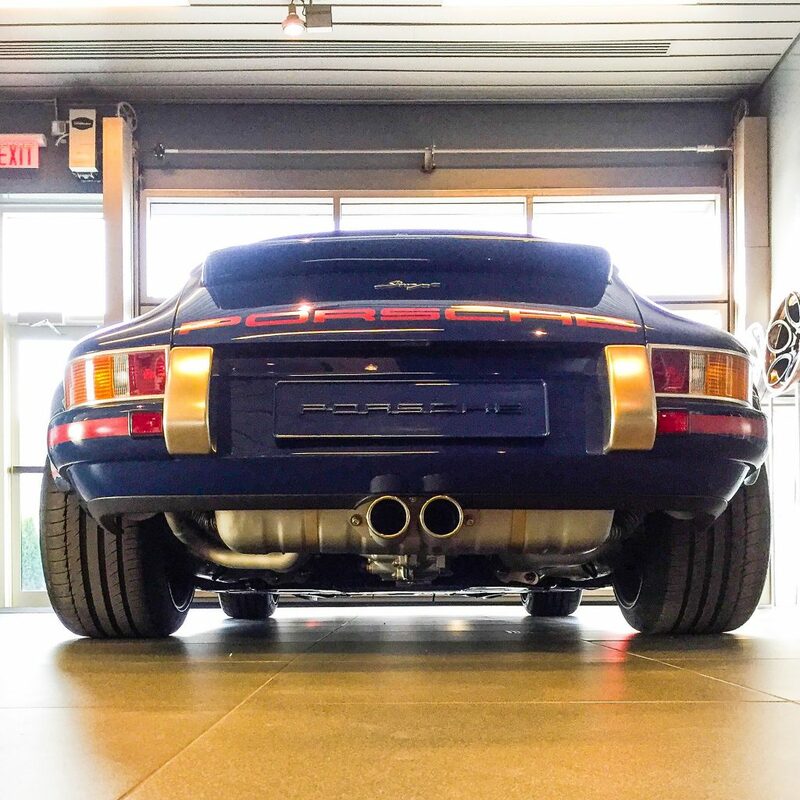 How remarkable that what I’ve come to describe in shorthand as the Porschiest-feeling Porsche I’ve ever driven – a car that oozes the heart and soul of what a classic 911 is all about – could only have come from Southern California.